Purple Cold-Shoulder Dress – Hayley Over Heels. Apparently purple is a lot of people’s least favorite color, and I am almost certain that this dress could persuade them to think otherwise. I mean, it’s gorgeous, and the color is so rich (am I describing this dress, or some sort of coffee? I don’t even know). Everyone probably knows by know that I am all about flowy tops and dresses. Maybe if I had six-pack abs (don’t think that’s in the stars for me), I wouldn’t be so concerned with the flowiness of my clothes, but for now I really enjoy the comfort level they provide, and I feel like many flowy pieces can be easily dressed up or down. I wear this dress with simple sandals and more toned-down jewelry to work all of the time, but I wanted to dress it up for this post with my new favorite wedges and some statement earrings. Not only is the color of this dress great, but the ruffle at the bottom adds a cute and feminine touch that I really enjoy, and makes the dress a little more something special other than just a plain purple dress. 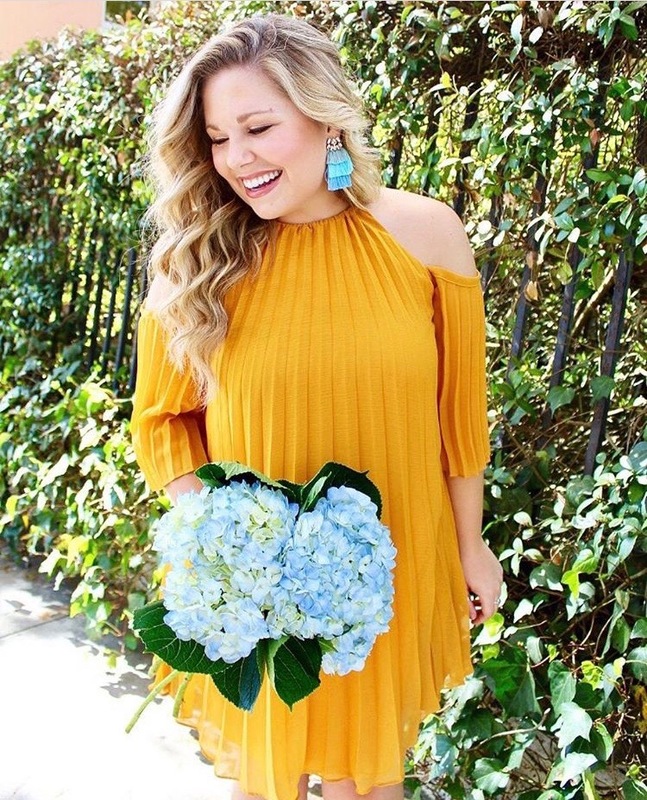 I decided to pair the turquoise Kendra Scott earrings with it because I really enjoyed the contrasting jewel tones of the dress and the earrings, and thought they made each other pop! I am going to be honest. I am not a huge fan of purple, but that maybe because I had an all purple room growing up so I just got tired of it. But this dress is so cute and is making me rethink purple.